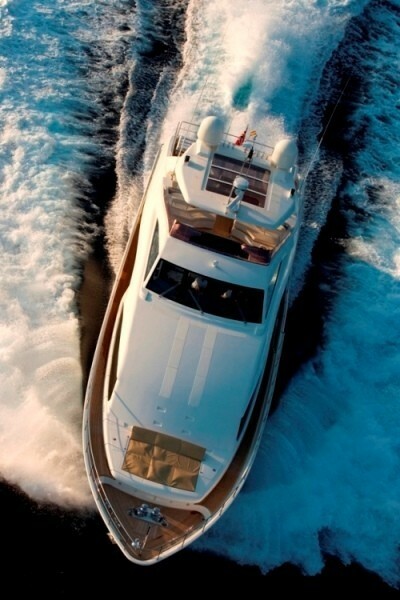 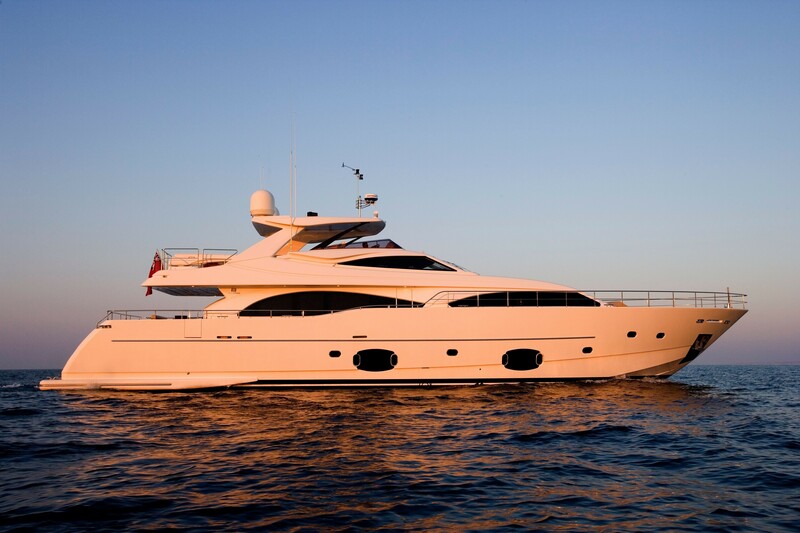 Motor Yacht PERPETUAL is a Ferretti Custom Line 97 launched in 2007 from the Ferretti yard in Italy. 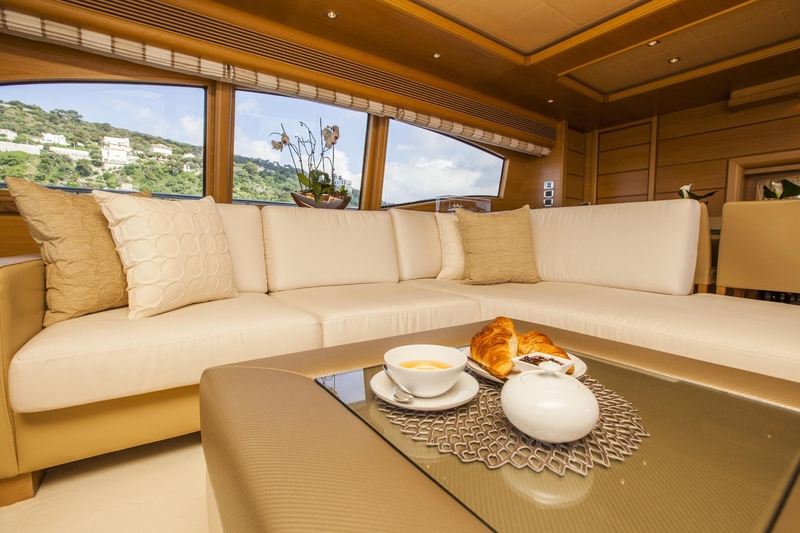 She is a commercially registered composite yacht with a planning hull and she is capable of exhilarating cruising speeds of 23 to 27 knots. 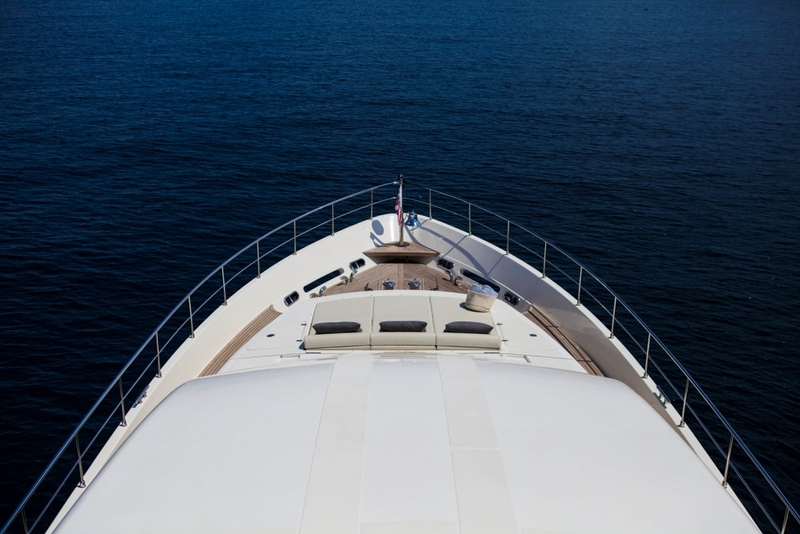 With the addition of unique Mitsubishi Anti-Roll Gyros stabilisers, PERPETUAL is more comfortable at anchor and during low speed propulsion. 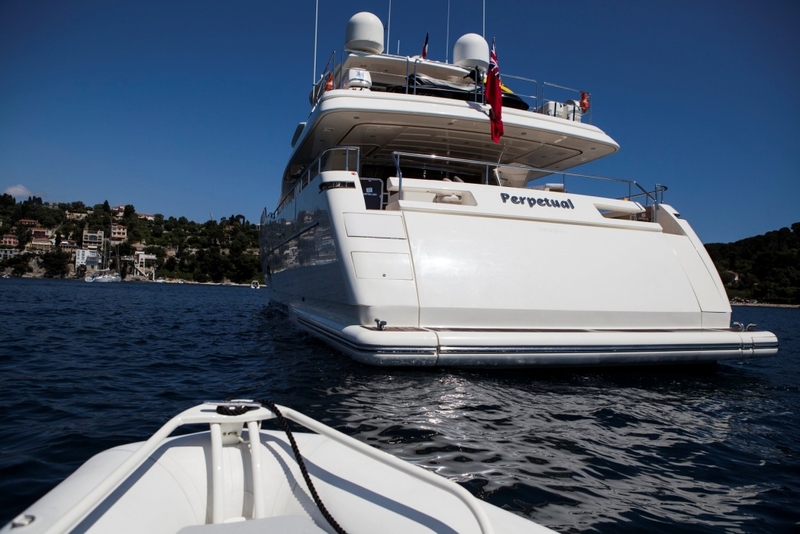 PERPETUAL is based in Imperia and is available for yacht charters on the Cote D’Azur and throughout the Western Mediterranean. 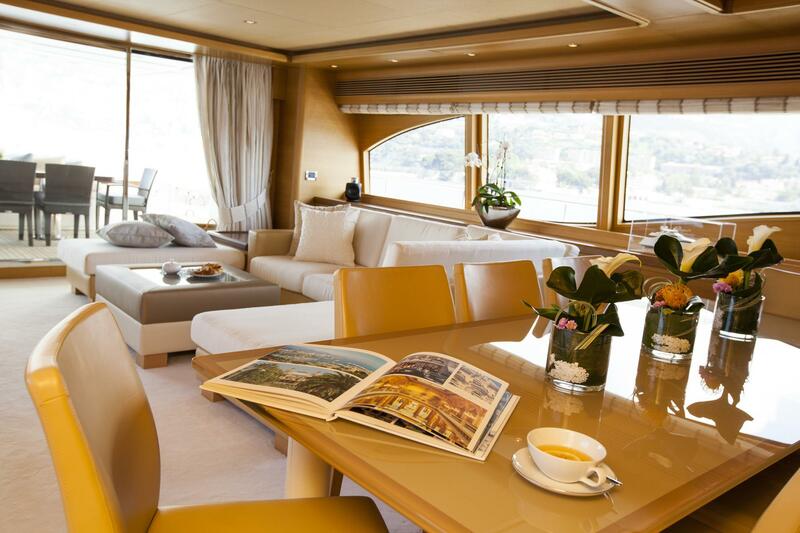 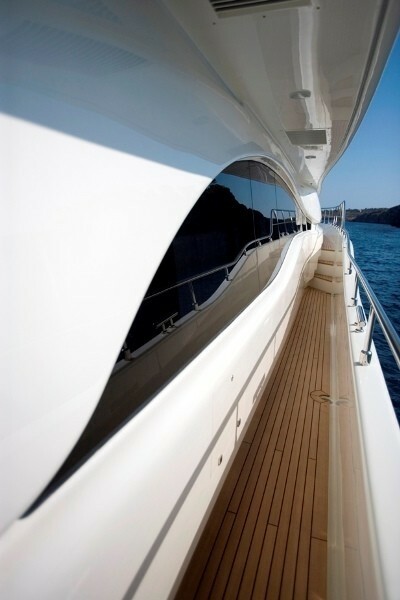 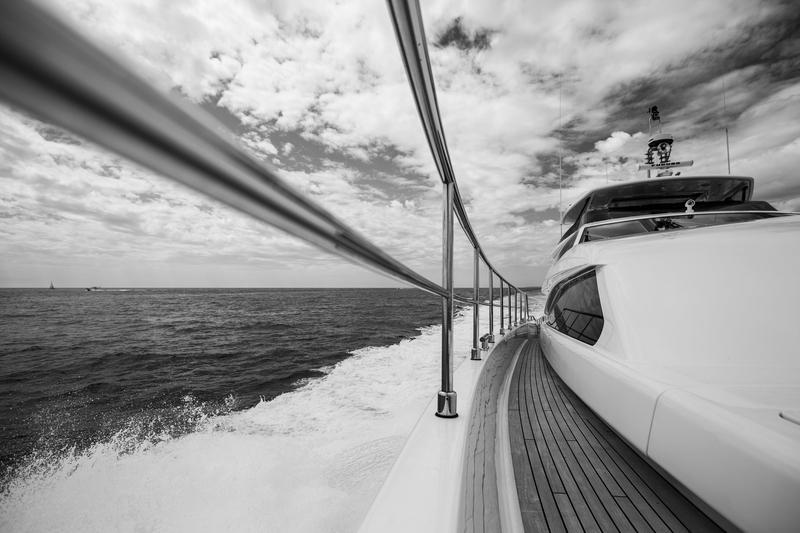 Luxury motor Yacht PERPETUAL is sleek and stylish and inside and out with a chic silhouette and contemporary furnishings. 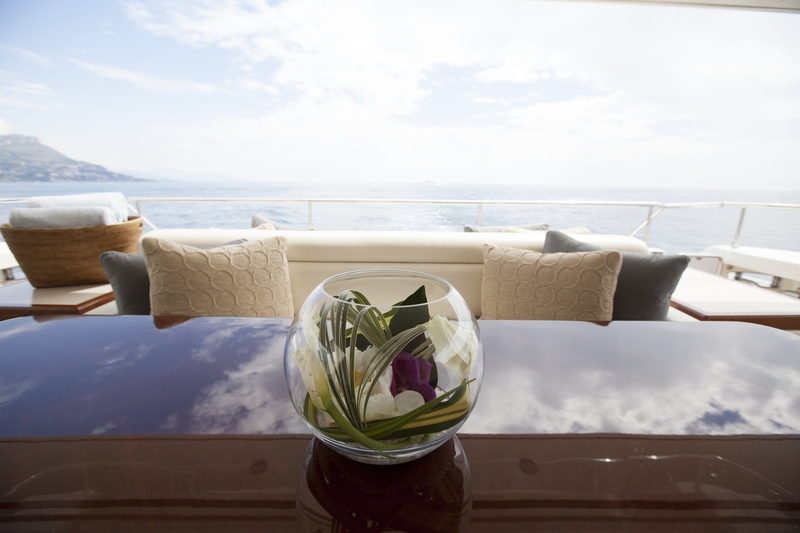 Her decor is modern, contemporary and tasteful and offers exceptionally comfortable and luxurious accommodation for 10 guests. 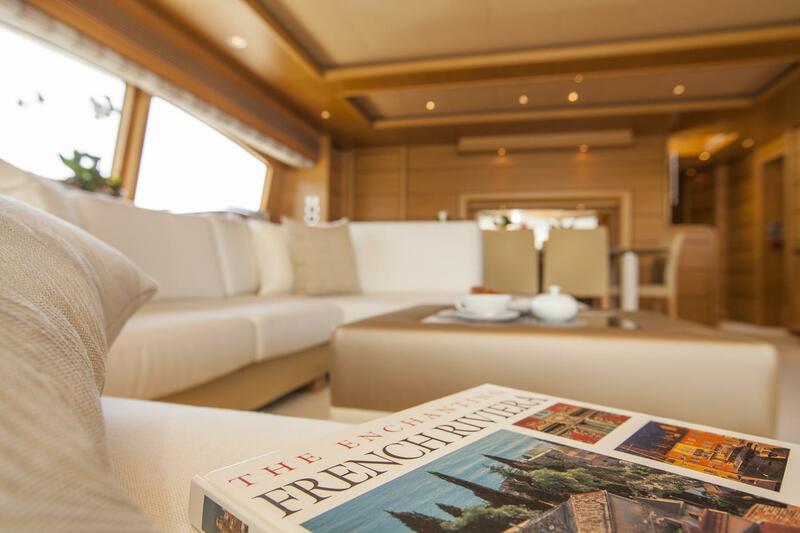 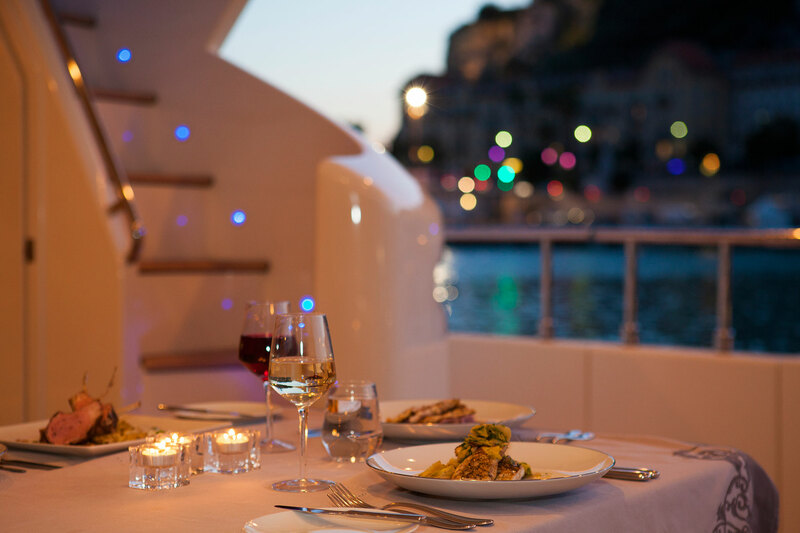 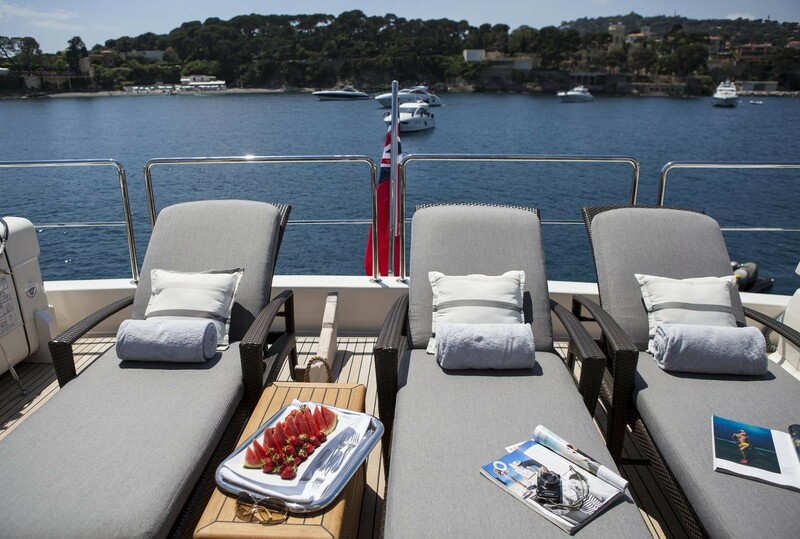 On deck, guests can enjoy alfresco dining on the aft deck or relax and soak up the Mediterranean sunlounges on the flybridge deck. 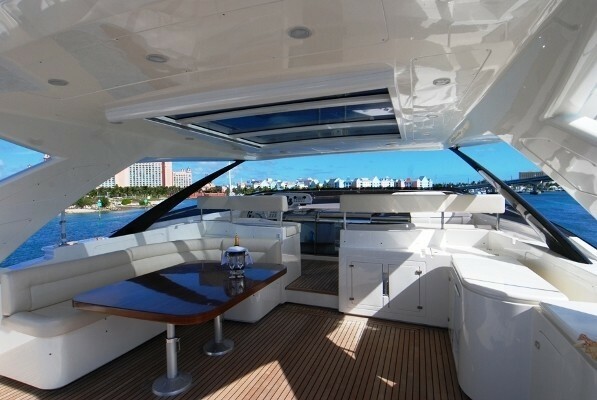 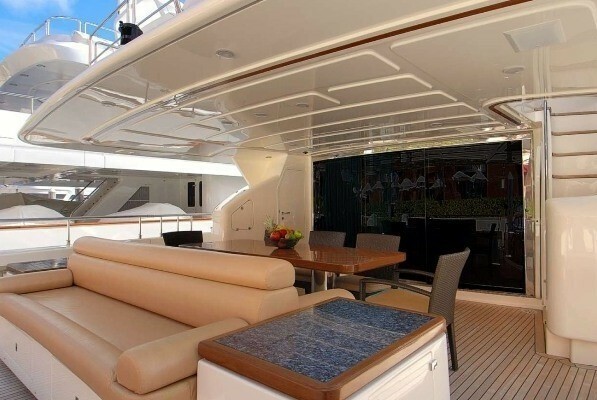 On the water line, the Ferretti Custom Line 97 has a large swimming platform and lazerette where the crew can stow all water toys to keep the decks clear for guest use. 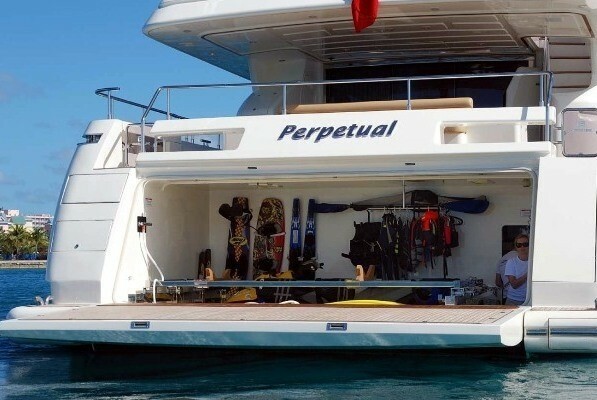 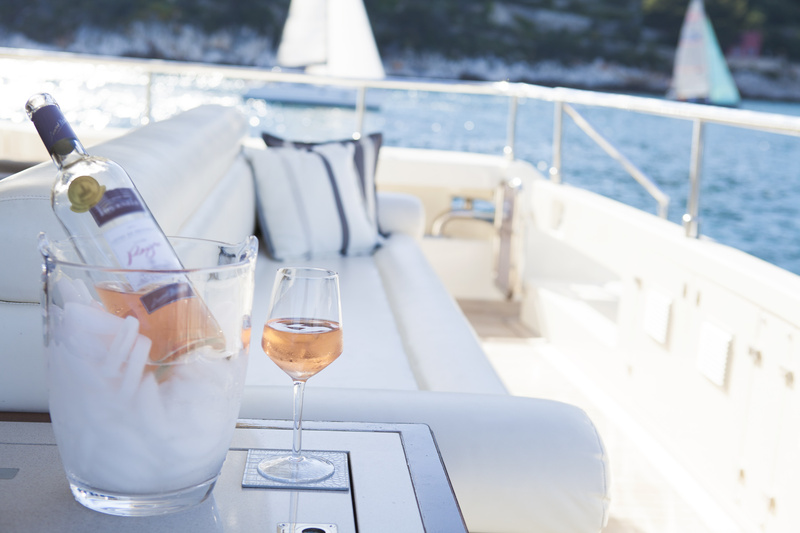 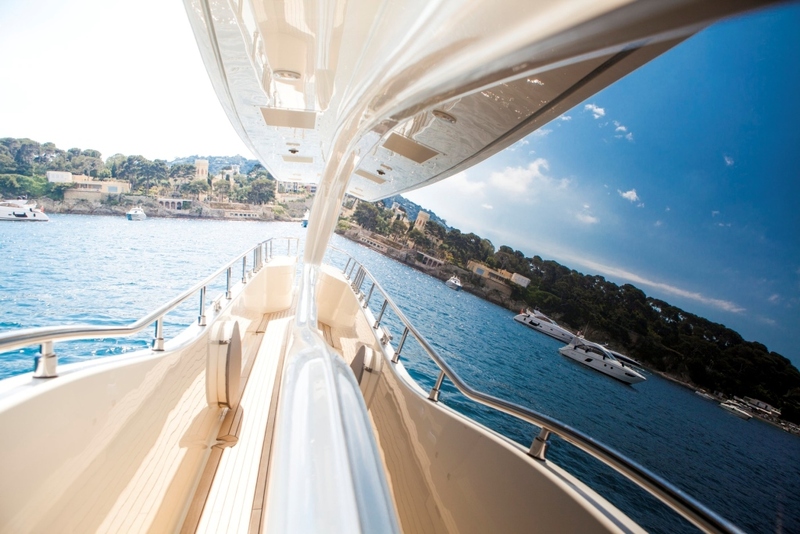 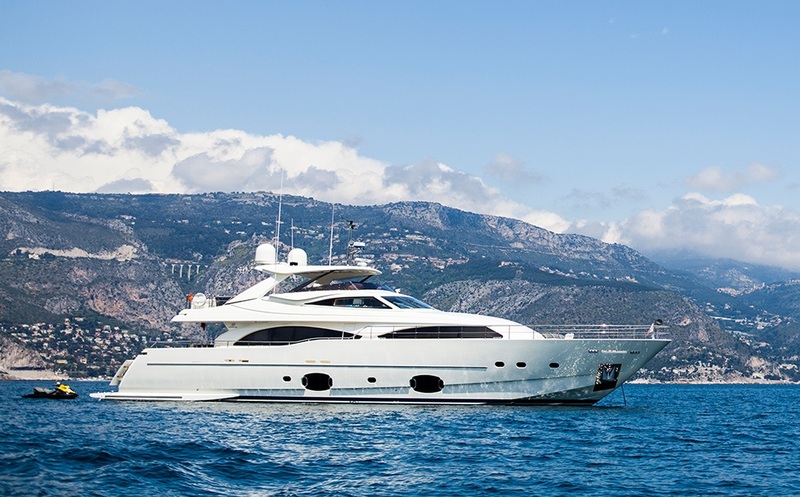 PERPETUAL offers a fantastic range of toys and entertainment facilities to keep guest relaxed and entertained and her professional crew of 5 are available to offer guests attentive service on their Mediterranean luxury yacht charter. 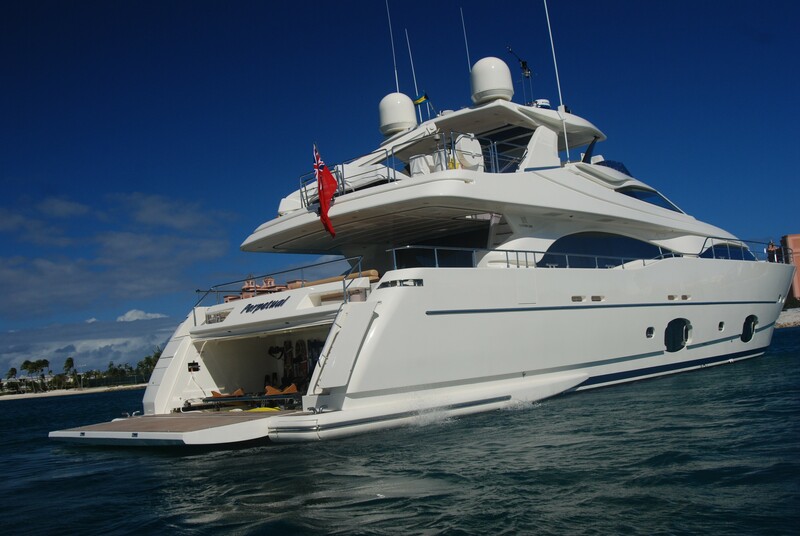 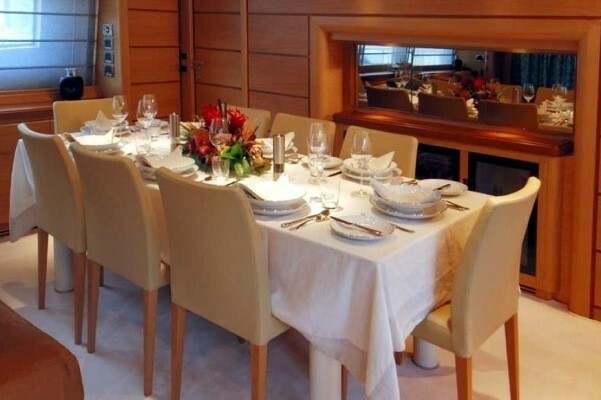 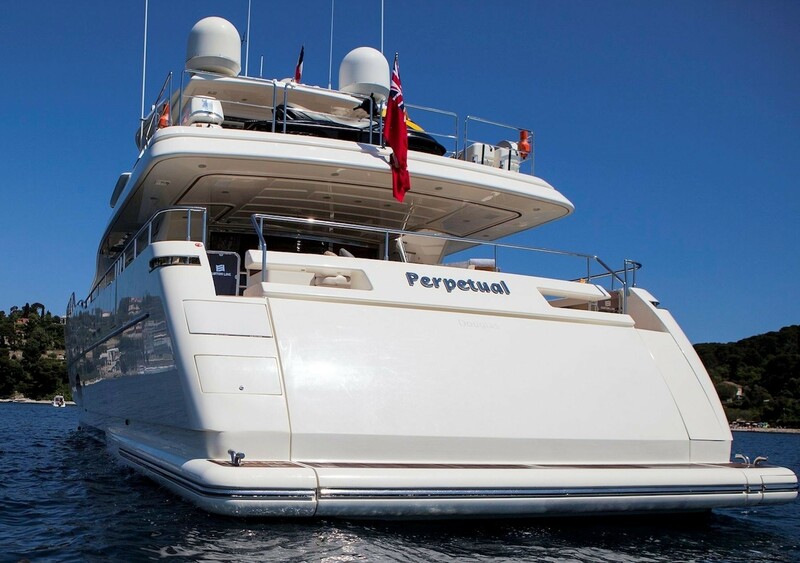 Mediterranean charter yacht PERPETUAL offers accommodation for 12 guests in 5 spacious staterooms. 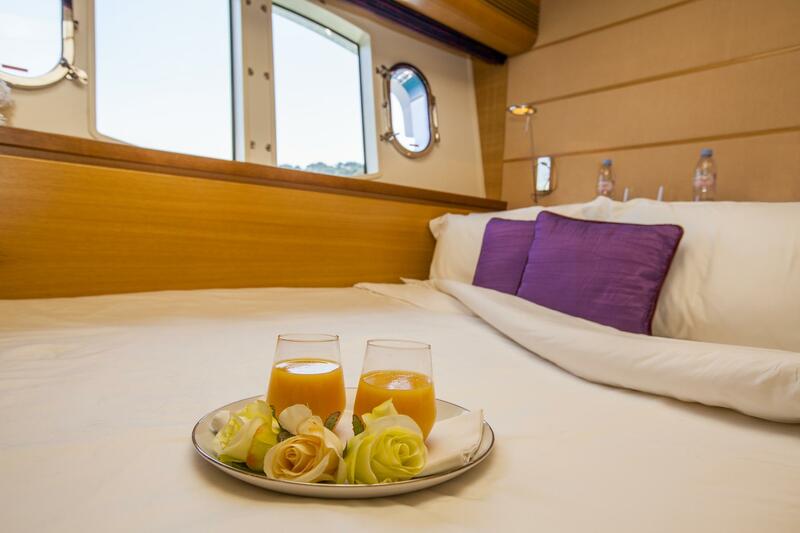 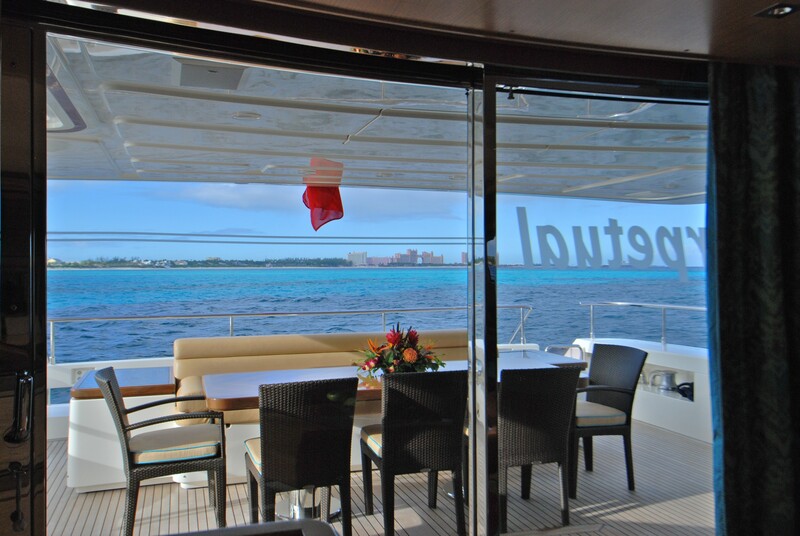 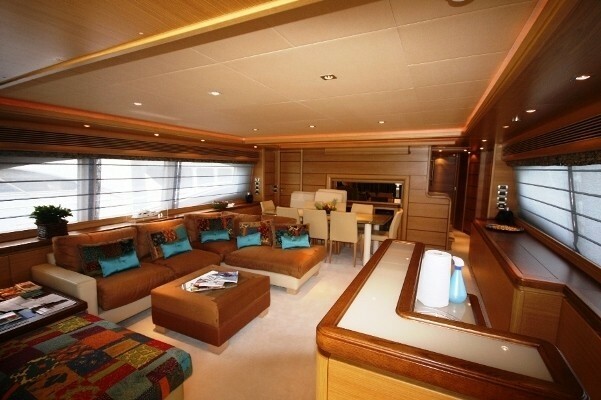 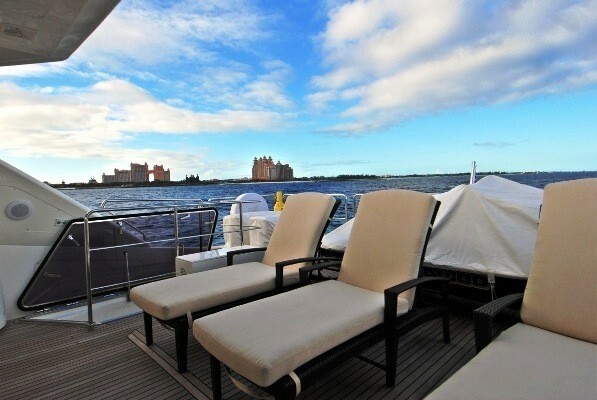 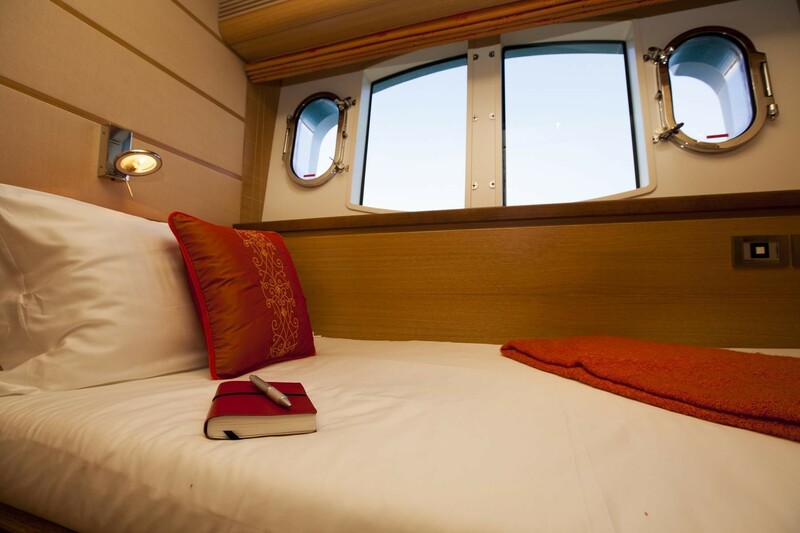 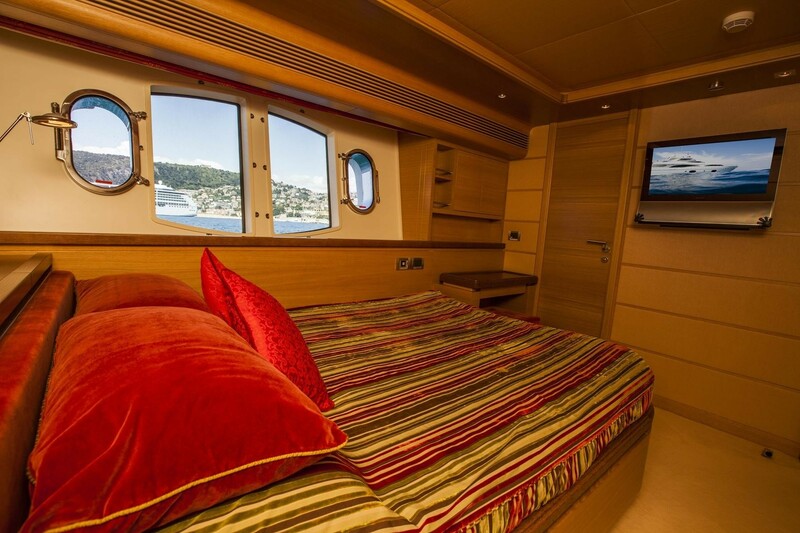 The master cabin is located on the main deck and therefore is filtered with plenty of natural light. 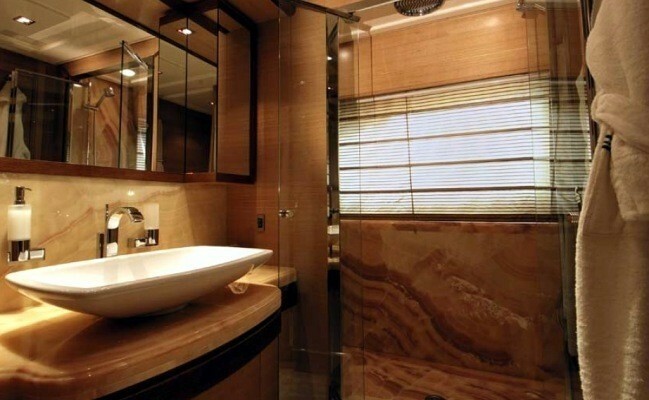 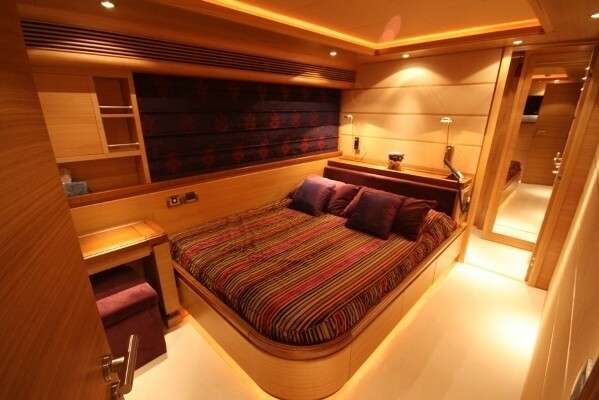 The master has a large ensuite bathroom, a large walk in wardrobe, an audio visual system and a safe. 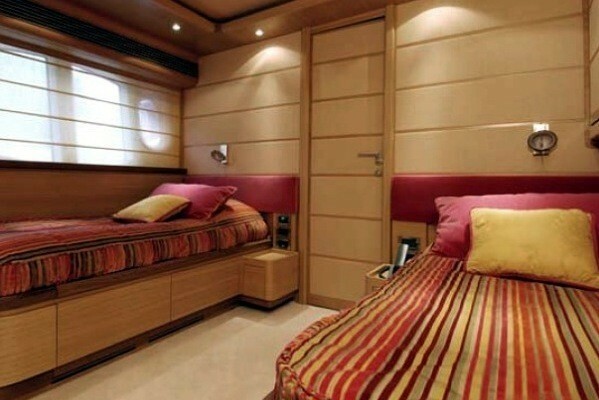 On the lower deck, there are two double cabins and two twin cabins. 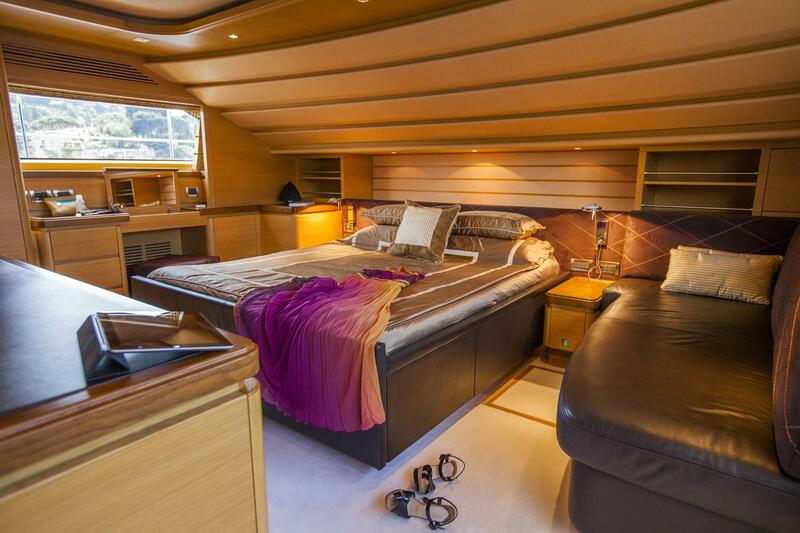 Each of these is also equipped with a private ensuite bathroom, under floor heating and entertainment systems. 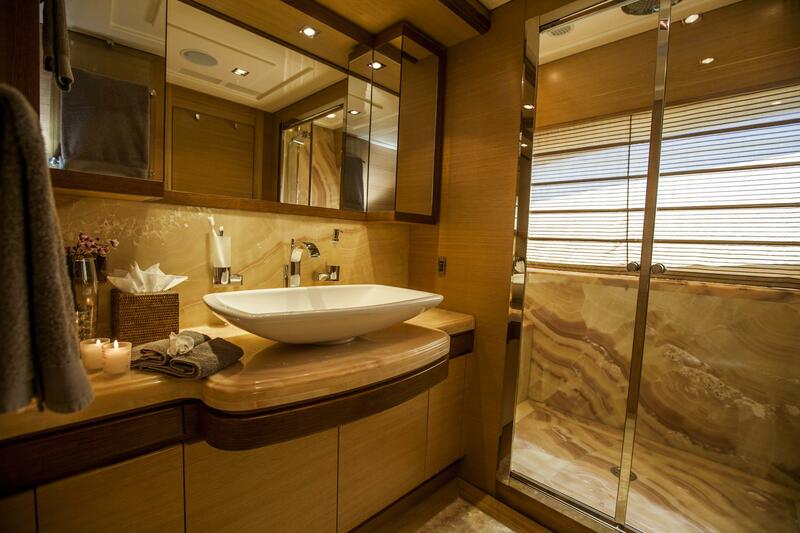 On of the double cabins also benefits from a Spa Pool tub. 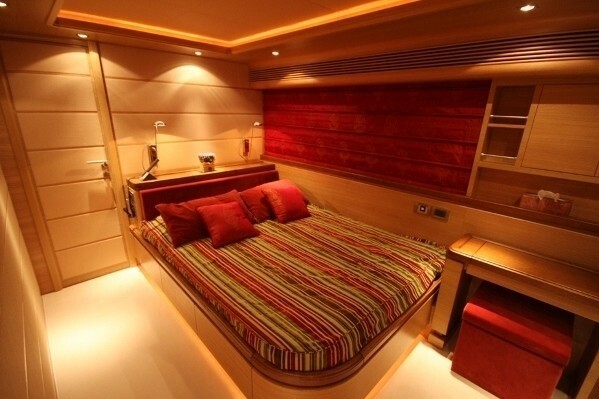 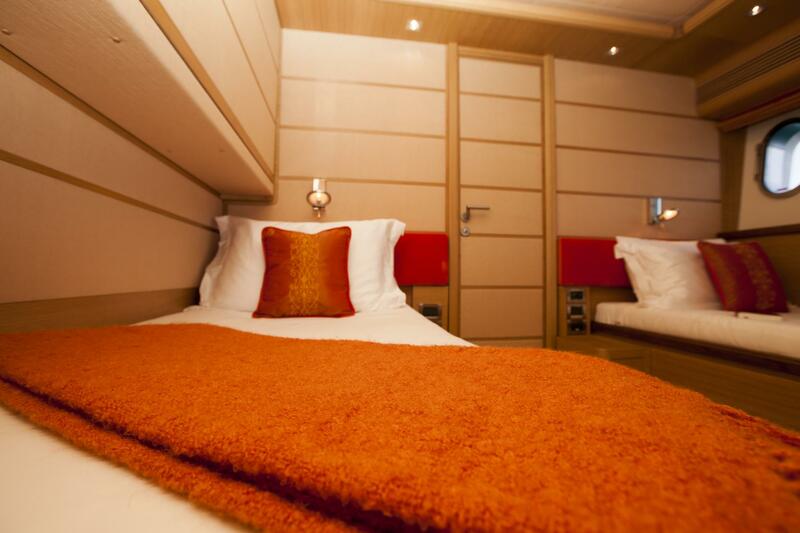 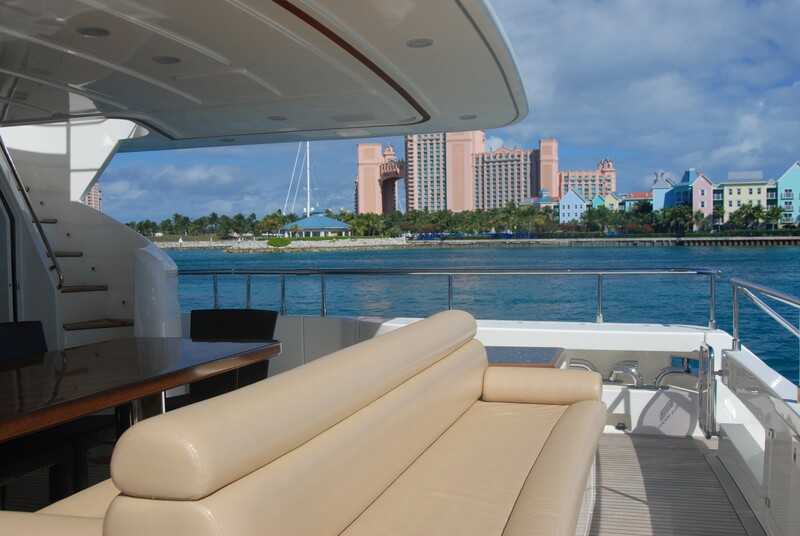 Pullman berths are fitted in both twin cabins and can be utilized depending on the makeup of the group. 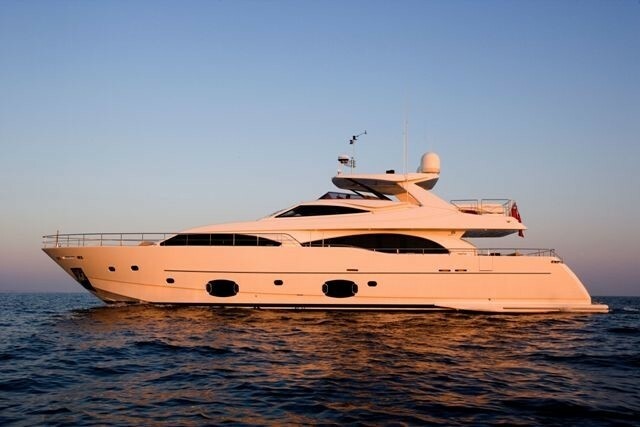 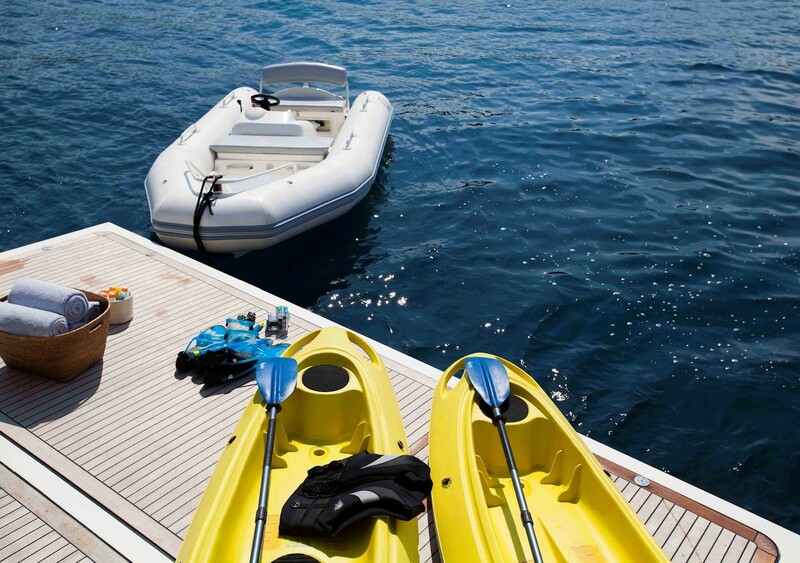 Ferretti Motor Yacht PERPETUAL has the following tenders and toys: Tender 4.2m jet RIB Avon 90 hp, Seadoo Jetski 3 SEATS 215 hp, Waterskis, Kneeboard, Donuts and various inflatables, Snorkelling gear, Fishing gear and Kayaks. 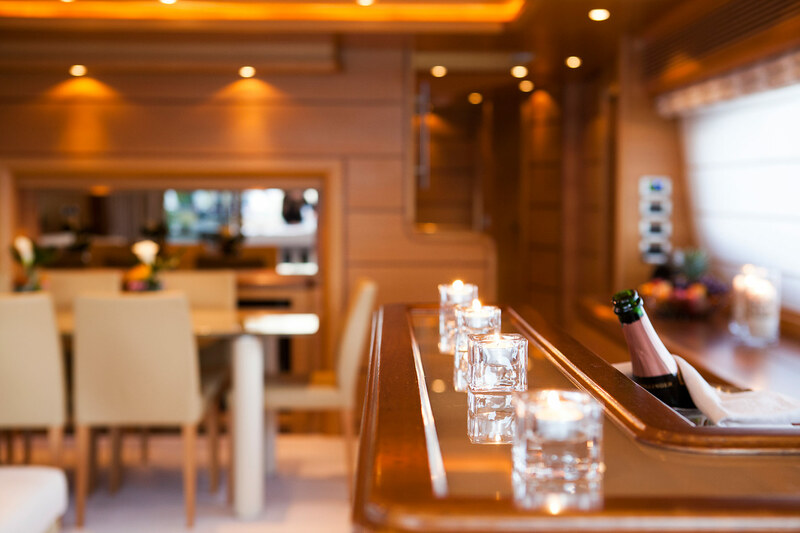 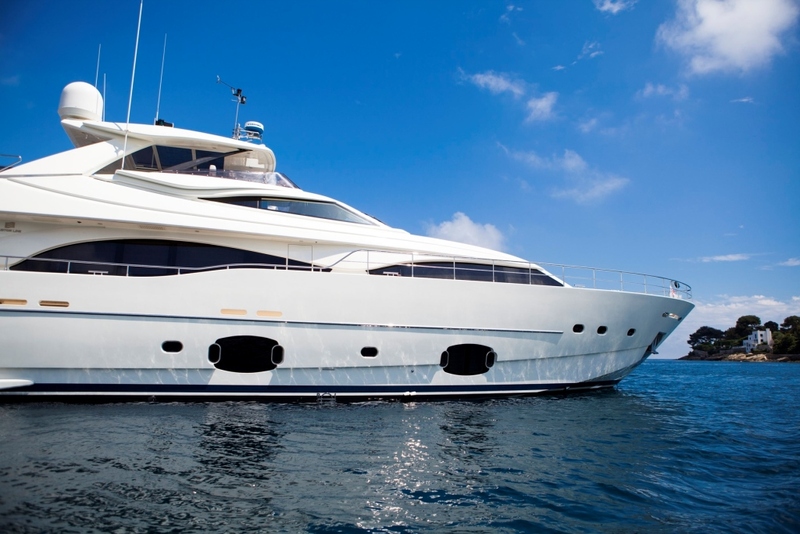 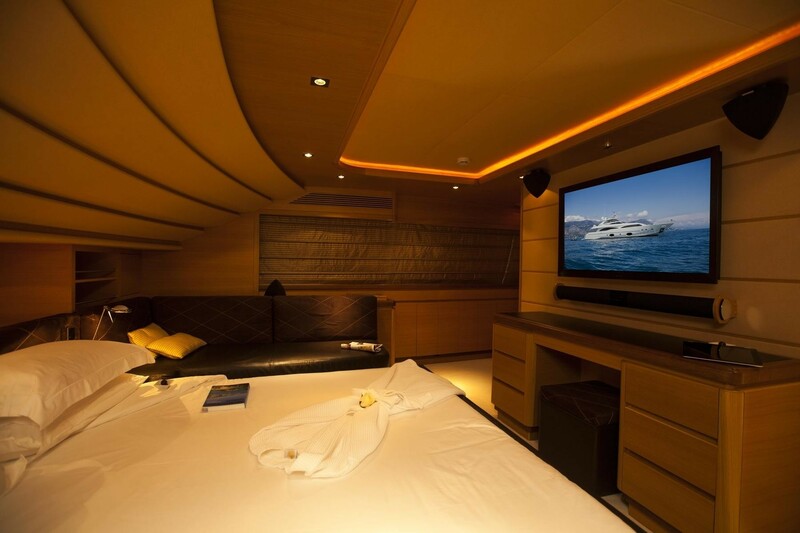 The yacht is also fully equipped with entertainment facilities including Plasma and LCD TV screens thought, DVD systems and surround sound audio systems with indoor and outdoor speakers.